The IRS has started to issue a new round of ACA penalties that focus on failure to distribute 1095-C forms to employees and to file 1094-C and 1095-C forms with the federal tax agency by required deadlines. These are penalties in addition to penalties for not offering the required healthcare coverage. In the final days of 2018, the agency started assessing penalties to organizations that failed to file forms 1094-C and 1095-C with the IRS or furnish 1095-C forms to employees under IRC 6721/6722 for the 2015 and 2016 tax years. This appears to be the first time the IRS has issued notices to employers that include ACA penalties under IRC 6721/6722. This is beyond the IRC 4980H penalties for not offering the required healthcare coverage. It appears that the agency is determining if penalty assessments are warranted for certain employers by cross referencing the number of W-2s employers filed with the IRS with their 1094-C and 1095-C forms. If warranted, the IRS is sending the proposed penalty assessments using Letter 5005-A and Form 886-A. This penalty assessment process is the follow-up to information employers provided to IRS Letter 5699, which essentially states that the IRS believes that a particular organization was an Applicable Large Employer (ALE) and failed to file ACA information returns for the 2016 tax year. Organizations with 50 or more full-time employees and full-time equivalent employees in 2016 were considered to be an ALE under the ACA ’s Employer Mandate. The Letter 5699 notice asked employers to confirm the name the ALE used when filing its ACA information, provide the Employer Identification Number (EIN) submitted, and the date the filing was made. Failure to respond to Letter 5699 or to take action to address any filing issues resulted in the penalty assessment being issued in Letter 5005-A/Form 886-A. The penalties for failing to file and furnish are indexed each tax year. For the 2018 tax year, penalties for failing to file and furnish can be as much as $540 per return. The penalties for the 2016 tax year can be as much as $520 per return. You can find a list of IRS penalty rates by clicking here. Separately, the IRS is continuing to issue penalties for ACA non-compliance under the law’s Employer Mandate under IRC 4980H. These penalties are presented in Letter226J, which the IRS is currently issuing for the 2016 tax year. 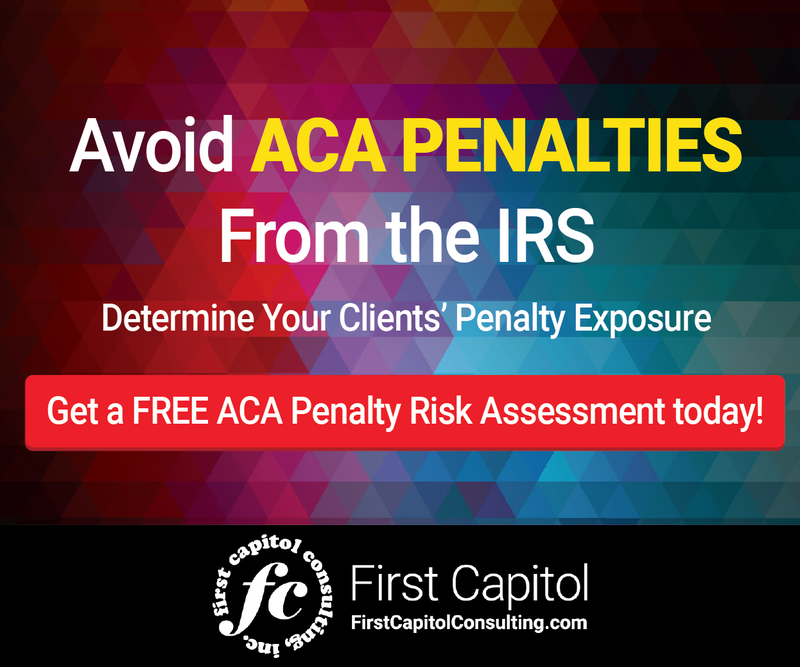 Organizations should consider undergoing an ACA Penalty Risk Assessment to learn if they are at risk of receiving IRS penalties. Some outside experts may offer to undertake this assessment at no cost to employers. Such a review can reap dividends by helping organizations avoid significant IRS ACA penalties. penalties that focus on failure to distribute 1095-C forms to employees and to file 1094-C and 1095-C forms with the federal tax agency by required deadlines. These are penalties in addition to penalties for not offering the required healthcare coverage. 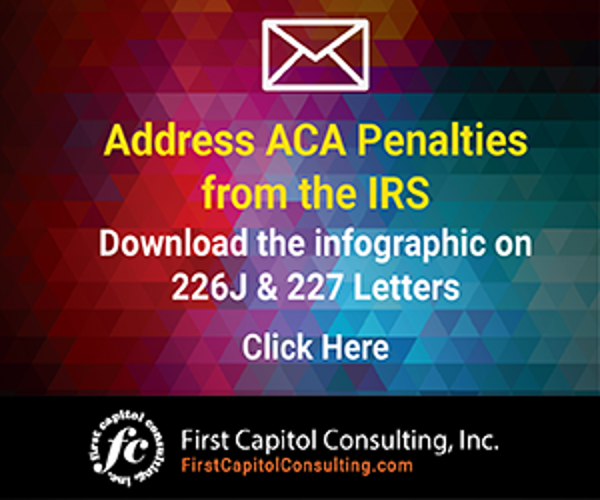 These penalties are presented in Letter 226J, which the IRS is currently issuing for the 2016 tax year. Organizations should consider undergoing an ACA Penalty Risk Assessment to learn if they are at risk of receiving IRS penalties. Some outside experts may offer to undertake this assessment at no cost to employers. Such a review can reap dividends by helping organizations avoid significant IRS ACA penalties. Penalties for failing to file and furnish ACA forms with the IRS are being issued.